Carried in the field by agents who were infiltrated into enemy occupied Europe. The throne was presented as a memento of the unique fact that the enemy’s capital was entered before the town was captured by the fighting troops. Took 21 agonising hours to successfully complete his mission, dying of his injuries the following day. As part of the build up to the Corps Centenary in 2020 – the Museum has worked with the Corps to identify 100 objects which have formed part of the history of Signalling in general and the Corps in particular. Many of the objects are held by the Museum do look out for them when you visit. The objects are revealed on a regular basis across social media and The Wire. We will eventually include all 100 objects here. The No 1 Wireless Set was one of a range of wireless sets brought into service following the formation of the Corps in 1920. In 1929 a new series of Army wireless sets was formulated and in 1933 the Wireless Set No 1 was introduced into service for use by Infantry and Artillery Brigades. Early sets were manufactured by Standard Telephones and Cables and designed to be vehicle or horse mounted to facilitate mobile communications. Limitations in the original design made the set unsuitable for large scale production so in 1935 Ferranti Ltd submitted a proposal for a redesign. The revised models were tested in 1936 but proved a failure; the primary disadvantage was the limited working range and, as considerable progress had been made with the design of the No 1 set, no further orders were placed. It is estimated that overall around 1800 No 1 sets were manufactured, the last sets delivered as late as 1938. 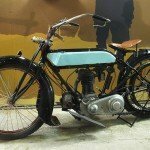 Motorcycle Despatch Riders were first used in World War One replacing military messengers who had hitherto been mounted on horses (or camels) or travelled on foot. Despatch Riders were used to carry urgent orders and messages which, for reasons of security or other considerations, could not be communicated by any other means. In World War One it was found that is was sometimes faster for distances up to 8 miles to use a Despatch Rider to pass messages that to encrypt it, transmit the message using telegraphic means and then decrypt it at the other end. Homing pigeons have been used to carry messages since Roman times; indeed, before the days of telegraph and wireless they were an essential method of carrying messages back to an established Headquarters from the front line. Pigeon 2709 was a typical example of the bravery of these birds. In 1917 during the Battle of Passchendaele Pigeon 2079 was despatched from the front line to carry a message back to Headquarters some 20 minutes flying time away. Shortly after setting off Pigeon 2709 was hit by enemy fire. The bullet broke a leg, passed through his body leaving the small metal message cylinder embedded in his side. Although it took him a further 21 agonising hours he successfully completed his mission only to die of his injuries the following day. 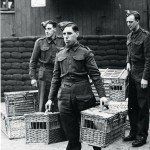 In World War Two 250,000 homing pigeons were brought into service for a variety of purposes including communicating behind enemy lines. 32 pigeons were awarded the Dickin Medal for valour including William of Orange who in 1944, when other forms of communication had failed, was released by British soldiers at Arnhem and flew with a vital message 400km back to the UK in just un- der four and a half hours. For his bravery in getting one of very few messages from Arnhem back to UK he was awarded the Dickin Medal in 1945. The first widely accepted heliograph was developed by Henry Mance in 1869 to utilise the light of the sun to provide telegraphic communications. First used in war during the Jowaki Alfridi Expedition on the North West Frontier of India in 1877 the heliograph really came into its own during the Second Boer War (1899—1902) when it was used by British and Boer forces alike proving to be particularly useful when telegraph landlines had been cut and no other alternative means of communication was available. 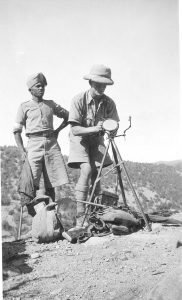 The heliograph continued in service somewhere in the world for most of the 20th Century being used by South African and Australian forces against German forces in Libya and Egypt in 1941 and 1942 and as recently as 1980 when it was used successfully by the Afghans against invading Soviet forces. The usefulness of the heliograph was limited to daytime and strong sunlight but they were the most powerful type of visual signalling device known and depending on terrain could span distances of up to 100 miles. 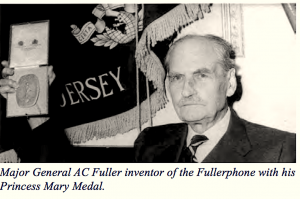 A remarkable bit of lateral thinking by Captain (later Major General) AC Fuller of the RE Signal Service towards the end of 1915 led to his developing what became known as the Fullerphone. 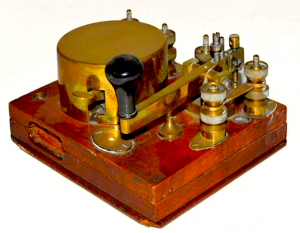 The Fullerphone was devised in 1915 as a solution to the problem of interception of messages by the enemy that had severely hindered operations in the early stages of World War One . constant current at an audible frequency and was practically immune to interception. Initial issues were constructed from converted field telephone sets but these early sets were not a great success. Indeed the Fullerphone must rank alongside the armoured fighting vehicle as one of Britain’s greatest inventions of World War I. 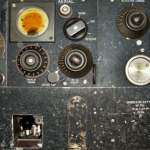 Compact and portable, the Fullerphone used a tiny amount of direct current (2 microamperes being sufficient), such that it could not be intercepted. The early models handled morse only. Later models handled voice calls, but also had a morse key allowing effective long-distance communications over bad and leaky lines. It was found by accident that the Fullerphone could even transmit morse across broken lines, provided that each broken end was touching the ground and not too far apart. The Fullerphone worked well over Army field telephone lines, with a range of 15-20 miles. It could also be superposed on civilian telephone lines, using a superposing unit. Fullerphone and civilian telephone were able to use the line simultaneously without interference. This is similar to the modern-day superposing of broadband internet connections over an ISDN telephone line. The Mark I Fullerphone was introduced into service in 1916 followed by the Mark II. By the end of 1916 the Fullerphonewas firmly established as the preferred method of communication in forward areas. d copied by other armies, including the Italians in World War II. The Mark III was introduced into service towards the end of the war. Following the Armistice in 1918 further improvements and modification were made. By 1918 about 23,000 Fullerphones had been issued. It was used extensively by the British, Australian and Canadian Armies in both World Wars. The Mark III Fullerphone remained in service for most of the inter-war years. In 1937 a fully redesigned set, the Mark IV, was brought into service; this and future variations were the most successful. Not only were they more sensitive than earlier models but they also had a simplified buzzer-chopper and were easier to use as it carried no telephone. The Fullerphone was devised for static warfare but, because of its capability to work simultaneously with a telephone over the same line, and through very long and leaky lines where other means of sending telephone or telegraph traffic was impossible, it was widely used in World War Two. The Fullerphone remained in service well into the 1950’s; the basic principle of operation remaining the same throughout its 40 plus years of service. The village of Fovant lies 10 miles west of Salisbury on the A30. In World War 1 the area was the site of a huge training camp for British and Australian troops and, later, a demobilisation centre for thousands of troops returning from the trenches. aircraft and many then became too damaged to restore. After the Second World War, local Home Guard veterans agreed to restore some of the badges and six were completed by 1949. The Home Guard Association then cut their own badge, that of the Wiltshire Regiment, in 1950 and this was quickly followed by that of the Royal Wiltshire Yeomanry in 1951. In 1969, 3 Division Headquarters and Signal Regiment agreed to help the newly formed Fovant Badges Association, with maintenance with 30 Signal Regiment joined in the following year. As a result of the interest shown by Royal Signals, the Corps was given permission to carve its own badge to celebrate the 50th anniversary of the Corps in 1970. 1.83m squares of wire and pegs covering a total area of 51.5m x 27.4m. The outline of the badge was then laid in white minetape and cut, with corrections to allow for the slope and perspective being judged from the main road. With these changes the badge’s final size was 61m (200 ft) x 26m (85 ft). 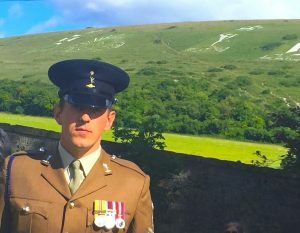 Over subsequent years, the badge has been maintained by soldiers from 3 Division, 30 and 11 Signal Regiments before being passed over to Fovant Badges Society contractors in 2009. Today, the cost of our badge’s maintenance is covered by the Royal Signals Benevolent Fund and the Corps has agreed to continue to finance this work until 2022 before reviewing this arrangement. 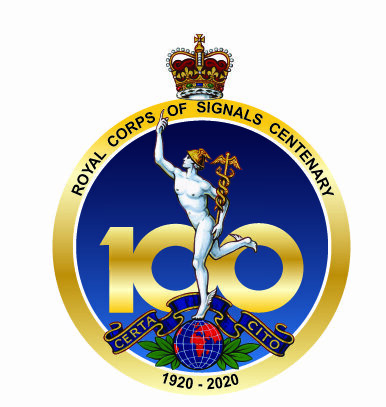 Our badge’s 50th birthday does, of course, coincide with the Corps Centenary in 2020. All the badges are scheduled ancient monuments and recognised by the Imperial War Museum as war memorials. The Italian Medal for Civil Valour is Italy’s Highest Decoration for Civil Bravery and is the equivalent of the British George Cross. The Corps Museum holds only one of these medals, presented by the family of the late Brigadier Russell Maynard MBE who won it posthumously on 15 July 1988 where, on a beach near Fregene, Rome. He and a Danish officer, Colonel Niels Thorn, saved the lives of several children at the expense of their own. the NATO Staff College in Rome when this tragic incident occurred. 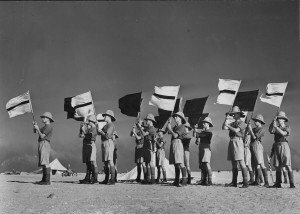 Beacons, flares and other forms of signalling have always been used in times of war but the Army’s use of semaphore signalling with flags is a comparatively recent innovation. It followed the introduction of a signalling system devised by Captain Philip Colomb RN for the Royal Navy in about 1865. Soon afterwards the Army too began to see the potential of signalling using flags and a School of Signalling was created at Chatham. Shortly afterwards all units of the line were directed to furnish men to train as signallers. Initially a code book was used and individual signals represented code words but it was found preferable to use the telegraphic system of signalling using the Morse Code that was already in use by the telegraph units of the Royal Engineers. In World War One signallers using flags were regularly deployed to often isolated forward positions to assist with artillery spotting and to provide information about targets. Visual signalling was quicker than sending a messenger (a skilled operator could send up to 12 words a minute) but was vulnerable to interception by the enemy and could only be used over short distances and when there was good visibility. For these reasons signalling with flags was discontinued in forward areas of the Western Front in 1916 although was it still in use away from the front line during World War Two over short distances such as between tanks when other means of communications were unavailable. The No 19 Wireless Set was developed primarily to fulfil the communications requirements of highly mobile Armoured Fighting Vehicles in World War Two. It incorporated the B set and an early use of a VHF transceiver to provide inter-tank R/T communication. Designed to War Office and Signal Experimental Establishment specifications and manufactured by Pye Ltd the Mark I was introduced into service in 1941 and used extensively in the North Africa campaign. Unfortunately, as a result of the intense heat leading to capacitor failure in the power supply unit many were soon put out of action. Replacement capacitors were obtained from the USA and flown direct to North Africa to allow the sets to be returned to service. It was soon realised that the frequency coverage of the Mark I was too limited and a Mark II with a better frequency range was introduced into service in 1942. Further modifications were made to improve efficiency especially of CW and to reduce the drain on power and the Mark III set was introduced in 1943. Despite initial difficulties the No 19 Wireless Set gave good service and revolutionised armoured formation communications in World War Two. The Mark III set was particularly successful remaining in service until the late 1960’s and used even later by Army Cadet Force signal units. Suitcase radios were first introduced into service in 1941. They were designed by Major John I Brown and initially manufactured by Special Operations Executive (SOE) to be carried in the Field by agents who were infiltrated into enemy occupied Europe. The set could be packed in airtight containers and dropped by parachute and were designed to be adapted to a variety of power supplies. Early sets such as the “A” Set Mk1 were based on the Wireless Set No 18 and used readily available components and had a range of over 500 miles. Between 1943 and 1945 the most commonly used suitcase radio was the Type 3 Mark II set also known as the Type B Mk II or just the B2. The B2 station was modular, and consisted of the receiver, transmitter, power supply unit and spares box. The miniature Morse key could be screwed to the lid of the spares box. Although normally carried in a suitcase it was later found that a watertight container was more suitable especially when used by Resistance groups working in the field. Despite having the disadvantage of being bulky and rather heavy the B2 was one of the most successful clandestine sets of World War Two proving reliable and highly powered. In 1836 an electric telegraph system was devised which sent pulses of current along wires which controlled an electromagnet located at the receiving end. A code was needed that used only these pulses and the silences in between them. The Enigma Machine was an electro-mechanical cipher machine designed in the early Twentieth Century and originally intended for commercial use but which was quickly adopted by the governments and military of many countries. The Enigma Machine consists of a combination of mechanical and electrical sub-systems. The mechanical sub system consists of a keyboard, a set of rotors arranged along a spindle and a stepping component to turn at least one rotor with each key press. 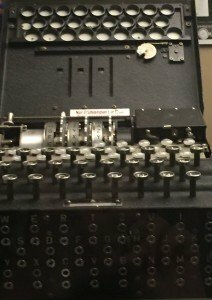 The German armed forces extensively used various versions of the Enigma Machine before and during World War Two and it was potentially an excellent and virtually unbreakable system but with one major flaw. No letter could be enciphered to itself which meant that possible solutions could quickly be eliminated because the same letter would appear in the same place in both the cipher and the plain text. 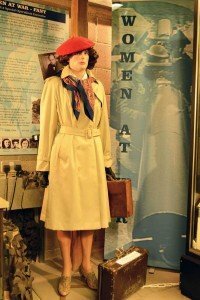 However although Enigma had some cryptographic weaknesses in practice it was German procedural flaws, operator mistakes and the capture of key code books that enabled Allied cryptologists at Bletchley Park to ultimately succeed in breaking the code. The intelligence gleaned and code named “Ultra” was to prove a substantial aid to the war effort. One of the exhibits in the Corps Museum which pre-dates the formation of the Royal Corps of Signals is the throne of the King of the Ashanti tribe, known as ‘King Prempeh’s Chair’. Based on a European folding chair, these “Akonromfi’ chairs were used by senior Ashanti chiefs when seated in public on the stepped circular platforms outside their palace and usually had talismans fitted beneath the seat. 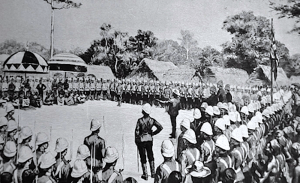 The Telegraph Battalion RE (predecessor of the Royal Corps of Signals) took part and played a prominent role in the Fourth Ashanti War of 1895 – 1896. It was during this campaign that three men of the Telegraph Battalion hacked a path for an overhead line from the Cape coast to Kumasl, King Prempeh’s Capital, covering 72 miles through the jungle. These troops then staggered out of the bush, confronted King Prempeh and accepted the surrender of his army. The RE Signallers had become skilled in building long telegraph lines and improving any existing civilian infrastructure. They were aided by the new ‘air-line’ system which consisted of a single wire conductor carried on lightweight poles which could be built at a rate of six to eight miles per day . In this instance it allowed them to outpace the main force they were supporting. The throne was presented to their commander in recognition of the hard work done and as a memento of the unique fact that the enemy’s capital was entered before the town was captured by the fighting troops. 2328696 Signalman Kenneth Smith was a professional soldier who joined the Royal Corps of Signals on 23rd January 1939, eight months prior to the beginning of the Second World War. 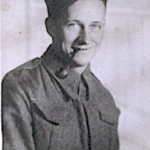 Regarded as an excellent operator, Signalman Smith was assigned to the Long Range Desert Group – one of the forerunners to the Special Air Service Regiment. In 1944-45 the Long Range Desert Group, was operating in the southern regions of Europe. On the night of 10 January 1945 Smith was the island of Ist, off the coast of Yugoslavia. Unfortunately Signalman Smith and his patrol were attacked by saboteurs who had placed a time bomb in the building complex where they were operating from. Concerned about the wireless set and its importance to the patrol Smith and a comrade began to evacuate the equipment. Smith then realised that there was also a family elsewhere in the building. Moving the bomb would be risky but Smith decided that this was the only way to save the family and the radio. He picked up the radio and exited the building. He had gone only a few yards outside the building when the bomb exploded and tragically Smith was blown to pieces. The family, the radio and Smith’s comrades all survived. Signalman Smith was posthumously awarded the George Cross, the highest decoration of bravery not in the face of the enemy. The Royal Signals Museum purchased the medal following a search by the family which tracked it down. The George Cross is now on display in the museum’s medal collection in Blandford.